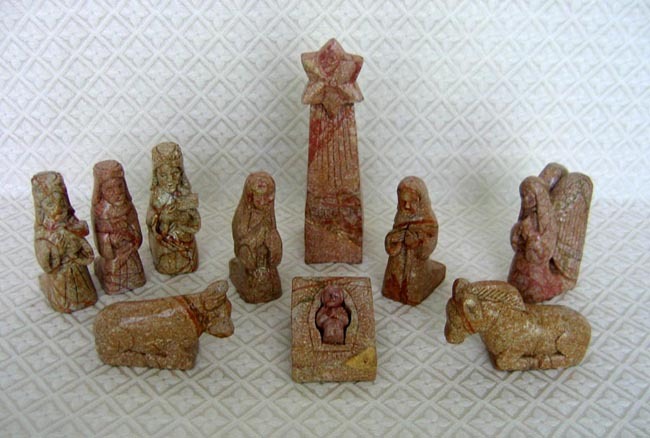 The set is composed of 10 pieces: Mary, Joseph, baby Jesus, the star, an angel, two donkeys, and three wise men. The height of the star is 6.75 inches tall, while the height of the other figures is approximately 4 inches tall. The artist showed pride in his country by carving the word “Panama” on the front of the star.